DISCLAIMER: I received these products for review purposes. However, my opinion is always based on my own personal experience with the product/service and it will never be influenced by a company. 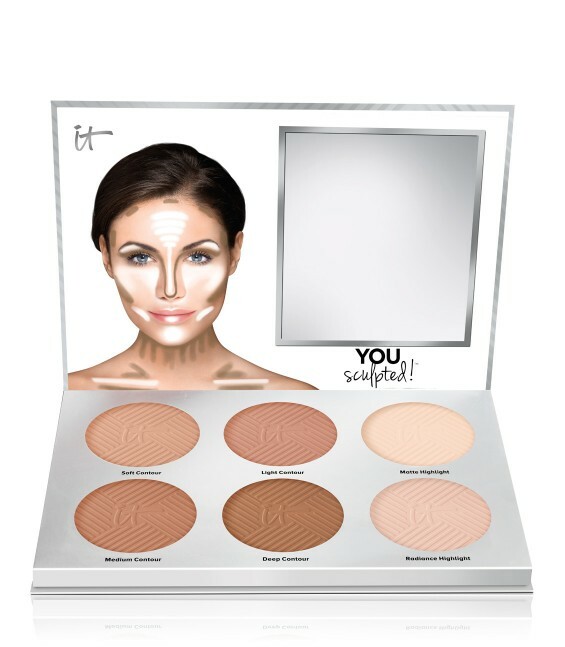 "If you loved My Sculpted Face Universal Contouring Palette, the original phenomenon from IT Cosmetics™, then you’ll love You Sculpted!™ This is your best-selling favorite with a facelift—and your secret to making contouring easy, whether you’re a sculpting pro or trying it for the first time! 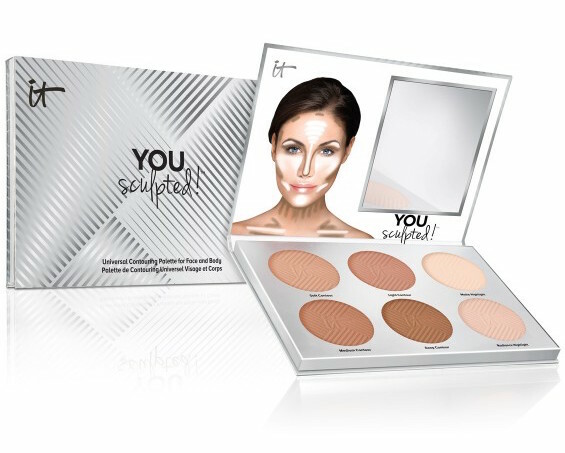 Developed with plastic surgeons, the leading experts in contouring and aesthetics, each powder shade is formulated with proprietary Perfect Lighting™ Technology to mimic real facial contouring and provide a foolproof alternative to fillers. 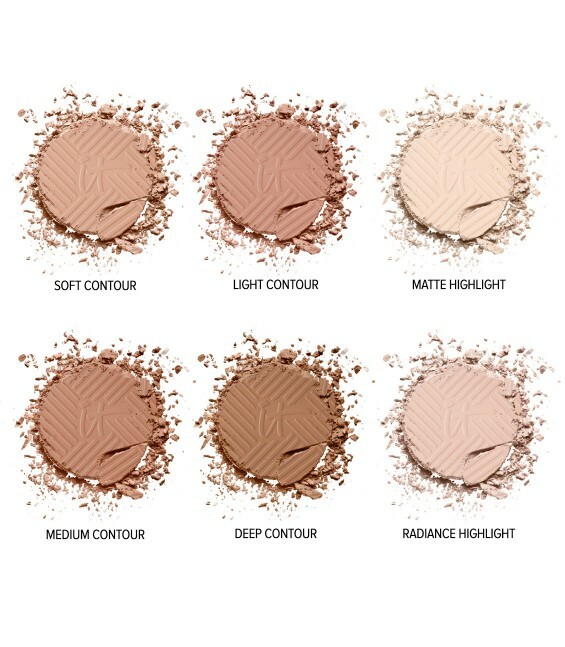 While the four contour shades absorb light and minimize the areas to which you apply them, the two highlighters enhance features you want to pull forward, creating the appearance of more volume. 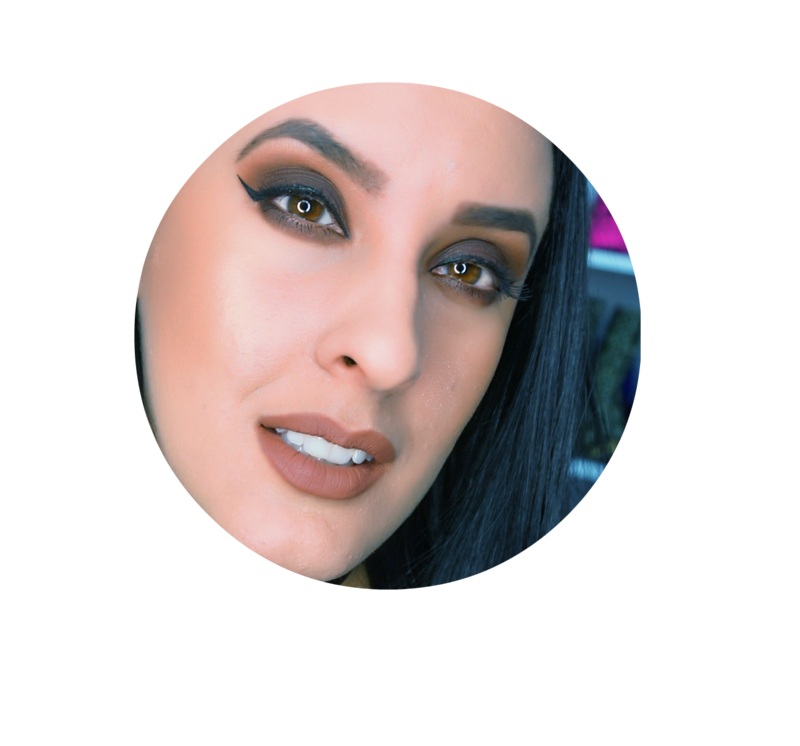 Talc-free, and perfect for all skin types and skin tones, these shades are infused with anti-aging collagen, silk and peptides to blend effortlessly and deliver smooth, natural-looking coverage that lasts all day." It is very pigmented and smooth. 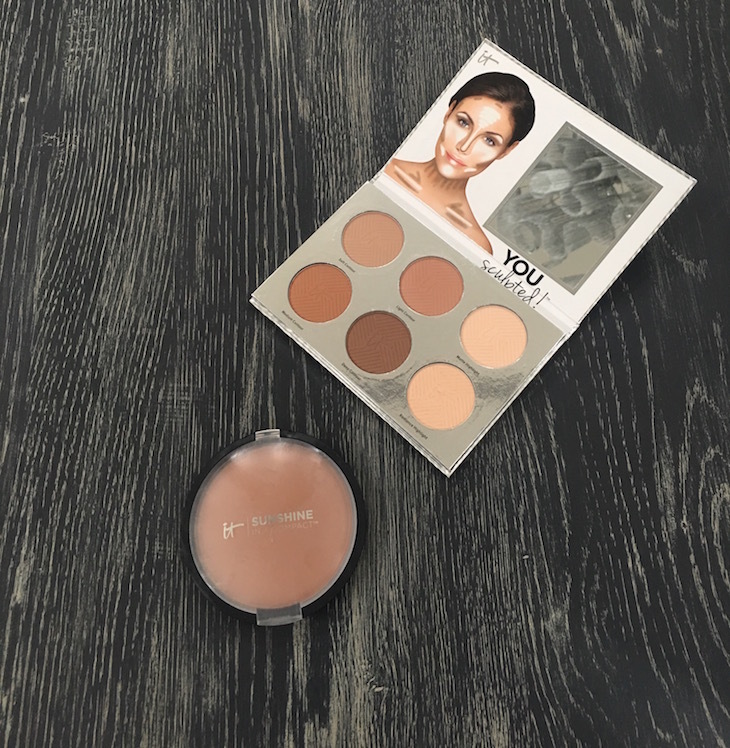 The colors are perfect for different skin tones so it is perfect for a makeup artist's kit. "Experience your most youthful, natural-looking, sun-kissed skin! 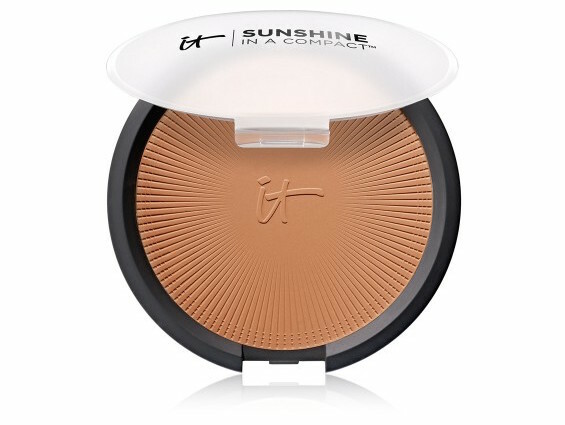 Developed with leading plastic surgeons, this game-changing, talc-free matte bronzer is infused with proprietary Drops of Light Technology™ to add instant radiance without any glitter or shimmer, just skin-perfecting vitality and an airbrushed finish. Ideal for all skin types and tones, it never settles into fine lines and wrinkles—and treats your skin with anti-aging hydrolyzed collagen, peptides, silk and antioxidants while blurring away the look of pores and imperfections. 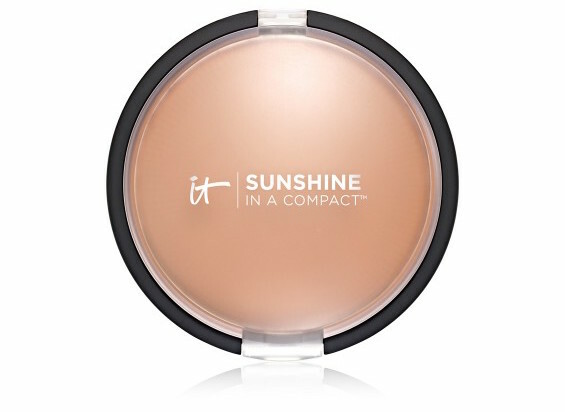 Use on both your face and body for an all-over, flawlessly airbrushed glow!" Another amazing product from it cosmetics! 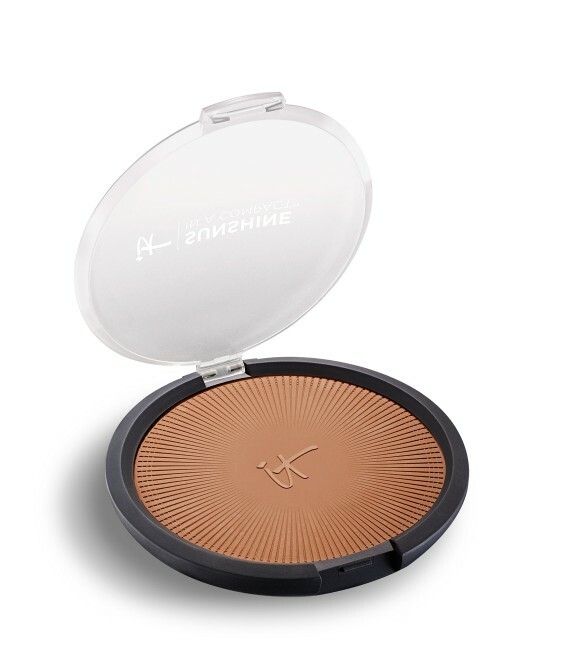 It is very pigmented and it also applies very smoothly. The only con I can point out is that it has an orangy tint. I don't really mind this, but some people prefer bronzers that are a true brown color. 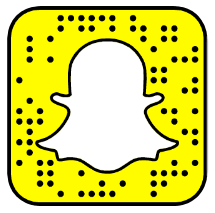 Other than that it is an excellent products and I also love the anti-aging properties.